DURAND, JUSTINIEN, priest, Recollet, missionary, provincial commissioner of the Recollets in Quebec; b. c. 1667 in France; d. in Quebec on 1 Aug. 1746, according to the “Nécrologe des Récollets,” or early in 1748, according to the chronicler of the Hôpital Général of Quebec. No information is available about Justinien Durand’s life before his arrival at Port-Royal (Annapolis Royal, N.S.) in October 1704 as vicar general of the bishop of Quebec and parish priest of Port-Royal. Because his predecessor, Abel Maudoux, had had numerous differences with the governor of Acadia, Jacques-François de Monbeton* de Brouillan, Durand had been instructed to improve the clergy’s relations with the civil authorities. He seems to have been successful. Brouillan’s death in September 1705 undoubtedly helped to improve the atmosphere, but so did Durand’s attitude, which was characterized by prudence and discretion, particularly in the Louise Guyon affair. Brouillan’s successor, Daniel d’Auger* de Subercase, had every reason to be satisfied with the Recollets’ presence at Port-Royal. After the surrender of Port-Royal to Francis Nicholson* on 13 Oct. 1710, Durand sought to reunite the settlers “in the upper region of the river [Annapolis River],” in order to shield them from the terms of the capitulation, which required an oath of allegiance on the part of the Acadians from “the outskirts of Port-Royal.” His conduct was considered seditious by Samuel Vetch*; he was taken prisoner in January 1711 and escorted to Boston. Louis Denys de La Ronde succeeded in bringing him back at the end of the year in an exchange of prisoners. After the treaty of Utrecht in 1713 Durand and other missionaries in Acadia tried, at the request of the French government, to encourage the Acadian population to emigrate to the territories that had remained French. At first Durand was optimistic about his parishioners’ desire to leave. But the British authorities increased the obstacles, and the French authorities showed little inclination to respect the wonderful promises made by their agents. In reality the Acadians did not want to leave their land if freedom of religion and property rights were guaranteed them. Neither did they want to take the oath of allegiance to the British king. None of the early administrators of Nova Scotia, Francis Nicholson, Samuel Vetch, John Doucett*, Thomas Caulfeild*, had succeeded in obtaining it. When a new governor, Richard Philipps, arrived in April 1720, he was firmly resolved to settle the question. Three days after his arrival Durand took the initiative and led a delegation of Acadians to the governor to explain why they could not take the oath. Durand was told by Philipps to publish the proclamation requiring everyone to take the oath on pain of having to leave the province within four months. He yielded to the governor’s demands and at this juncture went to Louisbourg to seek on behalf of the Acadians the advice of Saint-Ovide [Monbeton], the governor of Île Royale. On his departure the missionary wrote to Philipps that he had left his parishioners “entirely free to take whatever decision they considered advantageous”; he asked permission to retire to Île Royale (Cape Breton Island) “in order,” he said, “that any troubles that arise will not be imputed to me.” Durand’s action seems to have contributed to Philipps, failure to obtain the oath of allegiance from the Acadians in 1720. He was not to be successful until 1730. Father Durand was at Quebec in 1726, when he was appointed provincial commissioner of the Recollets in New France, an office he seems to have exercised at intervals until around 1734. 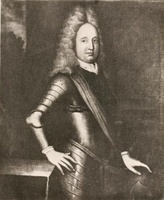 His term of office was uneventful, except for the episode linked with the soldiers’ mutiny in July 1730 against the commandant at Fort Niagara (near Youngstown, N.Y.), Nicolas Blaise* Des Bergères de Rigauville. Two Recollet friars, Brothers Césarée and Charpentier, succeeded in freeing the instigators of the revolt on the eve of their execution in Montreal and took refuge with them in the Recollet monastery in Quebec. Father Durand refused to hand the guilty persons over to the law, although he recognized the complicity of the two friars. The civil authorities took advantage of this incident to obtain from the king the “declaration of 1732,” an ordinance that deprived the church in New France of the right of asylum. Those who violated the ordinance were denied the right to be tried by ecclesiastical courts. It appears, however, that the ordinance was never observed. Justinien Durand spent the final years of his life at the Recollet monastery in Quebec. If we are to believe the chronicler of the Hôpital Général of Quebec, he was appointed confessor of the nuns there on two occasions, from 1731 to 1733 and from 1747 to 1748. During his ministry to nuns who were ill he succumbed to an epidemic which raged in Quebec in early 1748. The “Nécrologe des Récollets” attributes his death to this cause, but sets the date at 1 Aug. 1746. Its date is questionable, since the epidemic did not break out until November 1746. AAQ, 12A, Registres d’insinuations, C, 130. AN, Col., B, 35, ff.11–12; 36, f.447; 48, f.887; 49, f.666; 57, ff.650, 664, 672v; 64, f.444; 68, f.51v; C11A, 35, ff.106–30; 52, ff.118–26; 55, f.295; 56, ff.141–42, 204; 58, ff.18–19, 214–16; 62, ff.279–80; C11B, 1, ff.411–12; C11D, 5, ff.197, 221, 248–58; 6, ff.159–211; 7, f.182; 8, ff.49–54. ANQ, NF, Registres du Cons. sup., 1727–1728, 18 févr. 1728. Archives des Franciscains (Montréal), Dossier Justinien Durand. ASQ, Fonds Amédée Gosselin, XLIX. Coll. de manuscrits relatifs à la N.-F., III, 538–39, 547–48. Coll. doc. inédits Canada et Amérique, I, 110–11, 120–30, 151–52, 193–96; II, 6–10. Édits ord., I, 528. Lettres de noblesse (P.-G. Roy), II, 84, 167–89. N.S. Archives, I, 21–35; II, 57–59, 166. Gosselin, L’Église du Canada jusqu’à la conquête, II, 98–99, 158–73, 431. Jouve, Les Franciscains et le Canada: aux Trois-Rivières, 160, 285. Mgr de Saint-Vallier et l’Hôpital Général, 317–19, 712. Murdoch, History of Nova-Scotia, II, 278–386. Rochemonteix, Les Jésuites et la N.-F. au XVIIIe siècle, I, 111–33. P.-P. Gaudet, “Les premiers missionnaires et curés de Port-Royal,” BRH, XIV (1908), 375–79. Auguste Gosselin, “Le clergé canadien et la déclaration de 1732,” RSCT, 2nd ser., VI (1900), sect.i, 23–52. Micheline D. Johnson, “DURAND, JUSTINIEN,” in Dictionary of Canadian Biography, vol. 3, University of Toronto/Université Laval, 2003–, accessed April 24, 2019, http://www.biographi.ca/en/bio/durand_justinien_3E.html.